I have a very exciting product to review today; the product has changed my skincare routine completely. I don’t know whether to say it’s good or it’s bad (I’ll tell you why later) but I definitely can see improvements on my skin in terms of my acne problem. 3 months ago I decided to revamp my skin care routine because the condition of my skin was really bad. I can’t really figure out which products that cause my skin to breakout so I just ditched almost all of my skin care products at the time. Then, I decided to try Paula’s Choice because I believe their products are free off fragrances and has no ingredients that can potentially irritate my skin. After searching on Google, I found one reseller in Malaysia and to my surprise the shop is just few blocks away from my home. I went it for a brief consultation and the beautician named Nana suggested a few products for my skin problems. 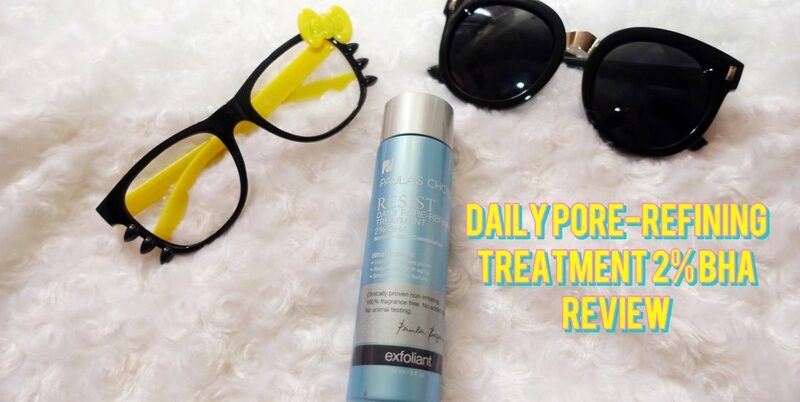 That day, I brought home 2 PC products and one of them is from the Resist line called Daily Pore-Refining Treatment 2% BHA. I didn’t see any improvements over night but after 3 weeks of using it, I noticed that I hadn’t had new cystic acne and I had less white bumps on my forehead. This is big for me because usually new acne will appear on my face every week without fail. Whether you believe it or not, my acne problem has been going on for years. Can you imagine my struggle? 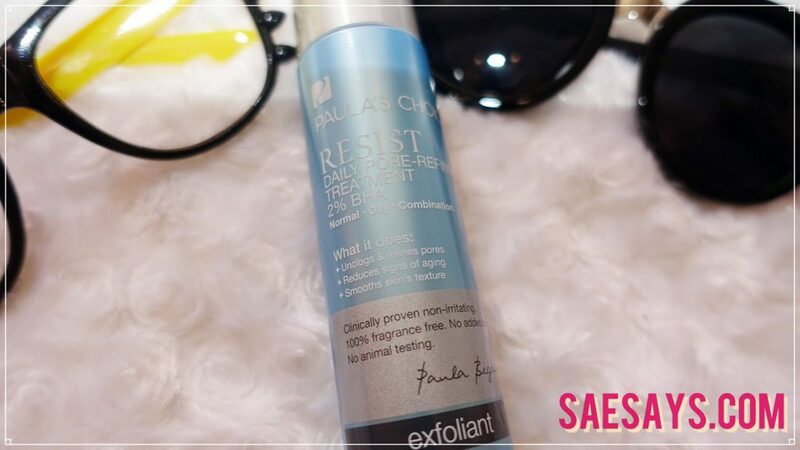 So, I think it’s not exaggerating when I say that the Daily Pore-Refining Treatment 2% BHA by Paula’s Choice is my newfound love. 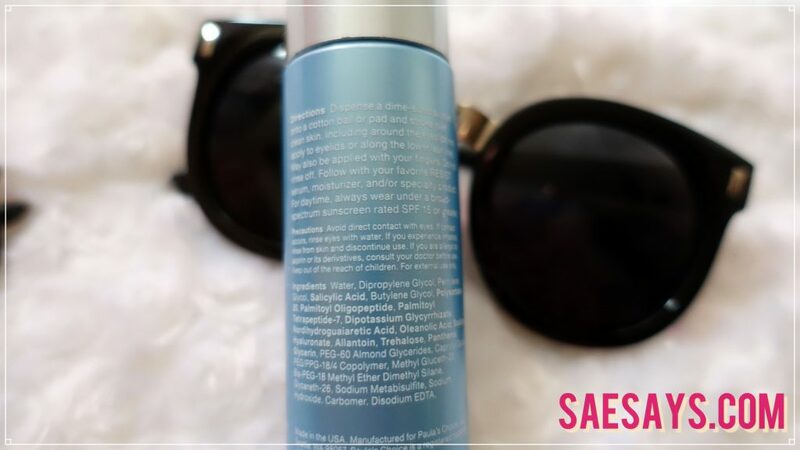 What is Daily Pore-Refining Treatment 2% BHA in a nutshell? It is an everyday exfoliant suitable for people with oily or normal skin. This product is formulated to help with clogged pores, wrinkles, redness and excess oil. I like how this product is weightless and it has no smell to it. The downside – Welcome dry skin! I’m the happiest woman in the world when I finally found my HG skin care product but unfortunately there’s a catch. At the time when I purchased the Daily Pore-Refining Treatment 2% BHA, I have been struggling with oily skin for years. It says on the bottle that this product is suitable for people with normal and oily skin. I didn’t think it would be a problem because I have been oily for as long as I can remember! As we all know, exfoliant can be quite drying but for someone like me who never knew how it feels like to have dry skin, it was overwhelming. I kid you not guys; my skin became really dry to the point where my makeup routines had to be changed. Before, my makeup routine is all about achieving that matte look but now I long for that oily/dewy look. I thought that I will be forever dry but after I found a suitable moisturizer for my skin needs, the problem went away. That makes me really happy because I know now I hated dry skin. In my opinion, it is much worse than oily skin. How do I suggest you to use the product? Initially, I think it would be ok for you to use it twice daily after cleansing (I skipped toner). After that, you have to see what happened to your skin. If it leans to the drier side, I suggest that you only use it once daily or change your moisturizer to something more potent. Tips: To prevent wastage, I didn’t use cotton pad to apply the product to my face. Instead, I just pour the liquid directly onto my palm and just pat it on clean face.